Over the past few weeks I've been getting a new error a lot in SITL. 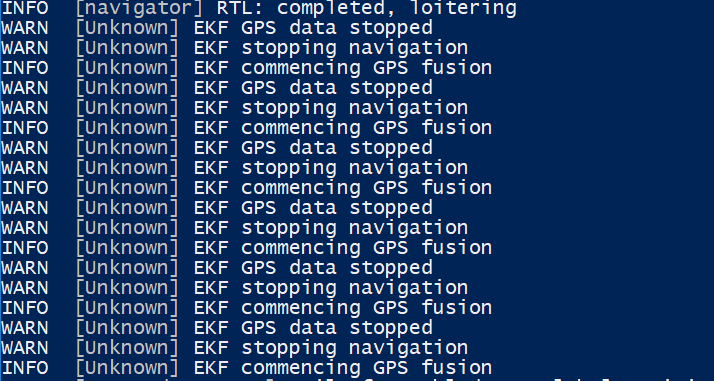 "EKF PS data stopped". sometimes it starts right back up again, sometimes not. I don't see any hiccups in the flight path or any failsafes trigger. I'm running fixed wing gazebo in Docker on Windows. Any ideas?